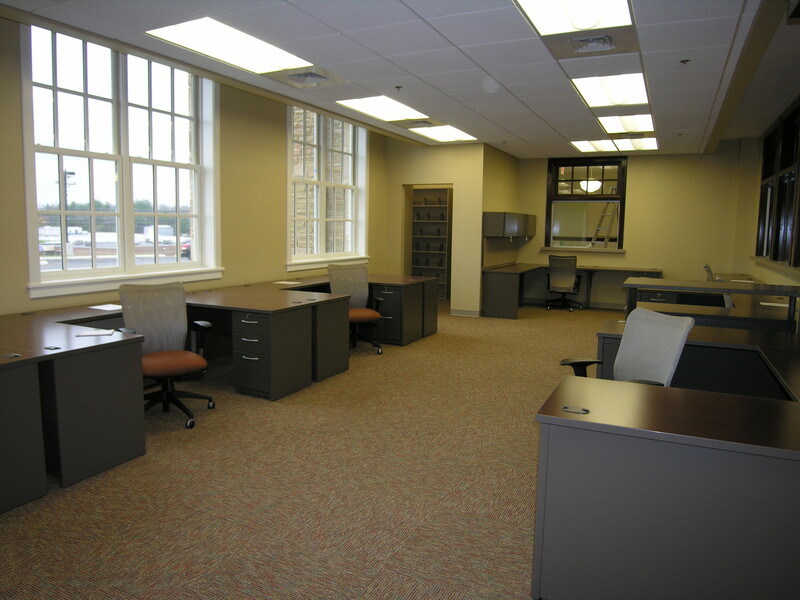 Renovation of a 1929 High School for use as part of a county justice center. 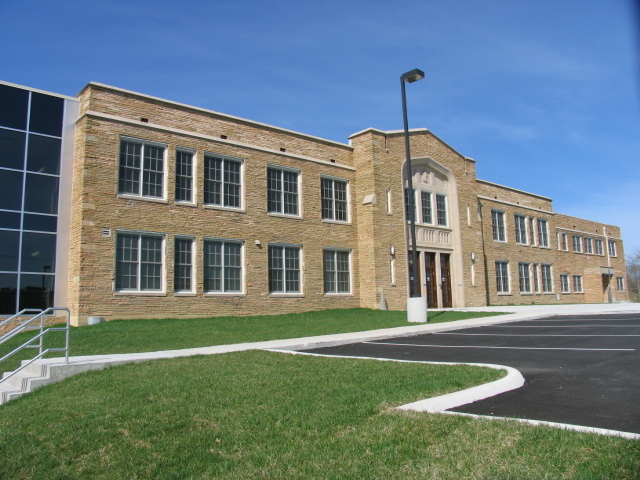 The former county high school had been vacant for years and had suffered severe damage from leaking roofs and vandalism. 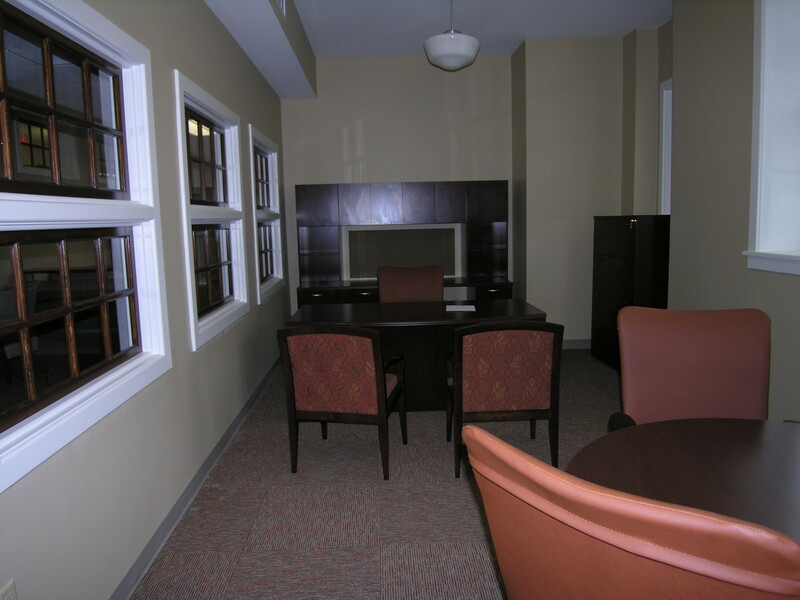 The original building was completely renovated and reconfigured to house clerks' offices, county judges offices, file storage and archival space. 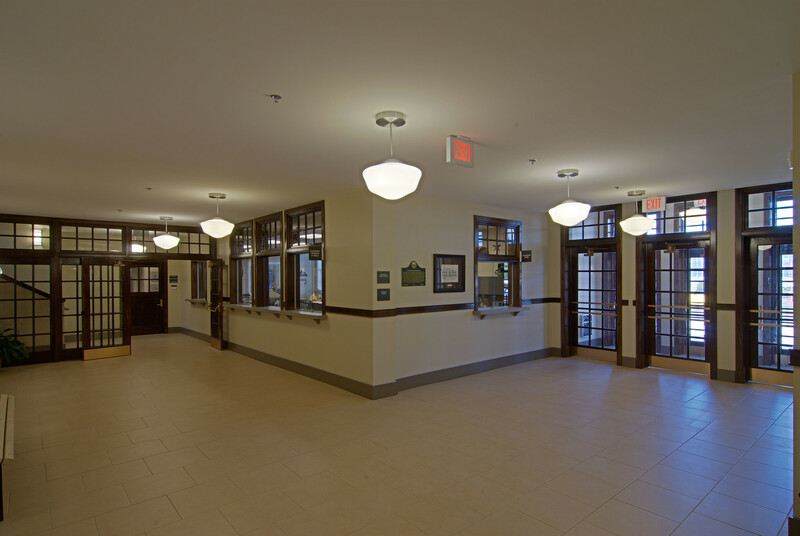 The school is connected to a new justice center wing with a glass connector housing stairs and elevator. 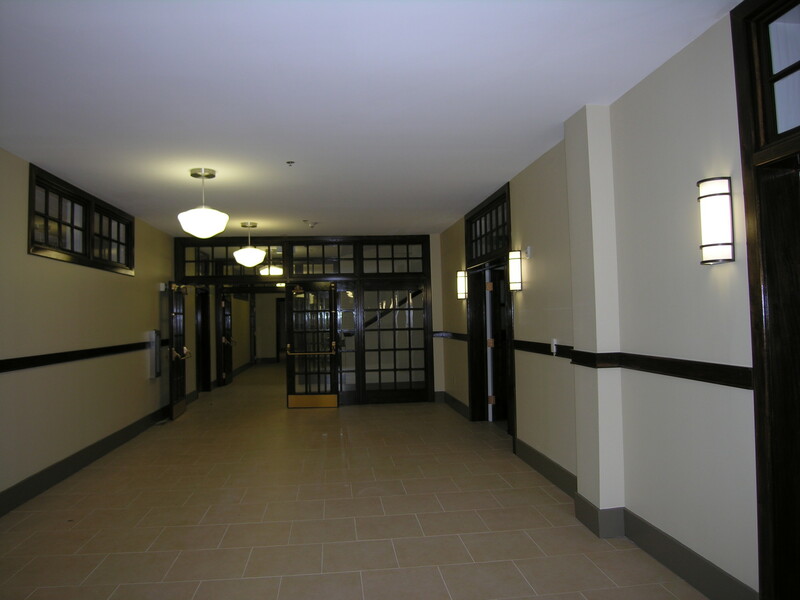 Structural repairs were made to the roof and some floor areas, a new roof and windows were installed, the sandstone walls were pointed and cleaned, all environmental systems were replaced, and all new finishes were installed.